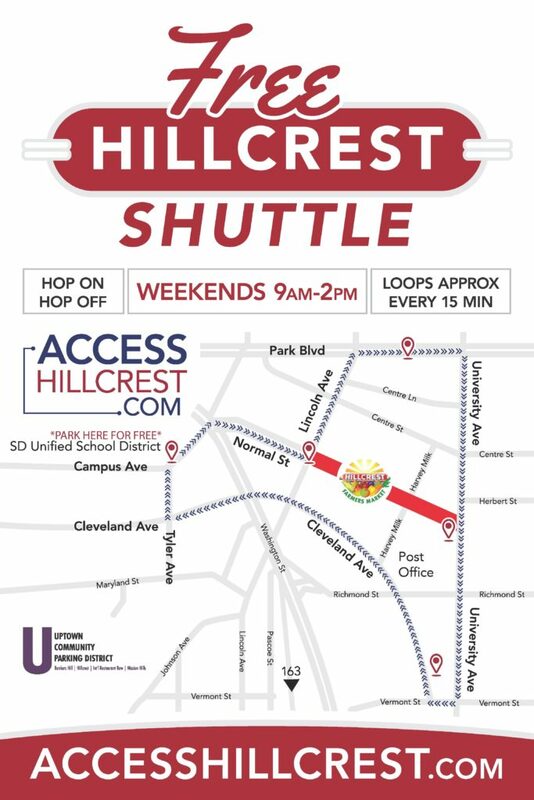 The Access Hillcrest Shuttle is a FREE shuttle service that transports locals, employees, and visitors to restaurants, shops, and even the Farmers Market! The shuttle travels within two routes – one weekday route and one weekend route – every 15 minutes. Riders can Hop-On/Hop-Off at any point along the route! Weekend riders can park for FREE at the San Diego Unified Parking Lot (300 free parking spaces located at 4207 Campus Ave.) or at the DMV from 7AM-3AM. Simply locate the nearest stop to your location using the map below. When you arrive, find the sign with stop location and keep an eye out for the shuttle! A driver will be by within 10-15 minutes. 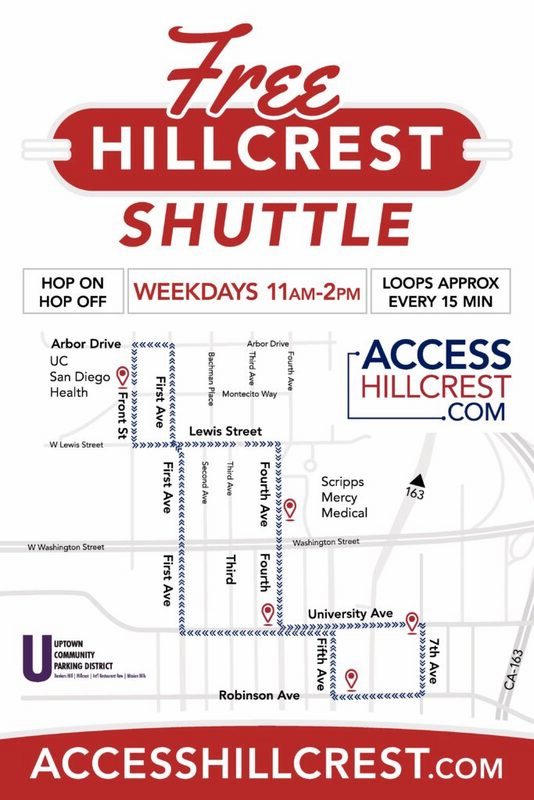 The Access Hillcrest Shuttle is operated as a free community service, fully financed by the Uptown Community Parking District 501(c)(3), and operated by Rec Rentals. By riding the Shuttle, you agree to have your comments, images, likeness, or the like, used in any Access Hillcrest Shuttle promotional materials.